Friends die, family disappoints, but a legacy... That lives forever. "Slade Wilson is the best mercenary in the DCU, and he's been doing this a long time. Some might say too long. 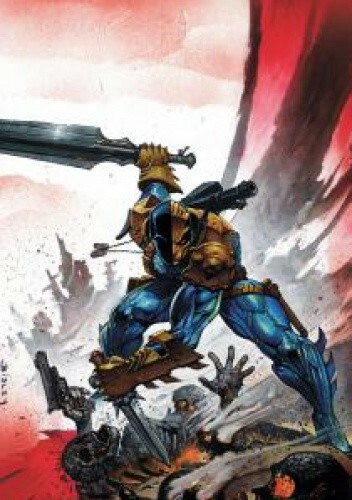 But they'll learn: Never turn your back on Deathstroke the Terminator. He won't quit, no matter how high the stakes. Kyle Higgins (BATMAN: GATES OF GOTHAM) and Joe Bennett (TEEN TITANS) team up to bring you the finest in mayhem and gore.